After winning the prizes in the National Halal Tourism Competition (KPHN), the Indonesian westernmost province of Aceh continues to develop its halal tourism in an effort to become a world-class tourism destination. In September 2016 the province won three awards in the categories of Muslim Friendly Airport--given to Sultan Iskandar Muda International Airport in Banda Aceh, as well as best Muslim friendly cultural destination, and best tourist attraction for Baiturrahman Grand Mosque. Since then the Aceh provincial government continues to develop its halal tourism and to seek to improve its tourism industry to meet its 3As - Amenity, Accessibility, and Attraction. The Ministry of Tourism has decided to promote the provinces of West Nusa Tenggara, West Sumatra, Jakarta, West Java, and Aceh as halal tourism destinations. Decision to accelerate the developmental programs of halal tourism is because of the potential market of the industry to attract tourists from Qatar, Saudi Arabia, the United Arab Emirates, China, Russia, Germany, France and the UK, which also have Muslim population. Hence, the development of halal tourism in Sabang, Aceh Province, is supported by Indonesian Maritime Pilots Association (Inampa) President Parsoroan Herman Harinanja to improve the economy of people in the region. "We fully support the halal tourism development in Sabang for the improvement of the peoples economy, and therefore, the halal tour package should continue to be campaigned and promoted," Harinanja remarked in Sabang on Thursday. The Inampa president acknowledged that his side support the development of halal tourism in the National Tourism Strategic Area (KSPN), and he also urged all parties to do so for the improvement of the economic growth of the community. "All parties must support the development of halal tourism in Sabang and the supporting infrastructure built by the Sabang Regional Management Board (BPKS) to attract cruise ship visits to Sabang," Harinanja said. Sabang city government spokesman Sofyan Adam has affirmed that the local government will continue to promote the tourism industry with the hope of improving the welfare of the local communities. "We continue to make improvements and rectify any shortcomings in stages for the convenience of the tourists as tourism is the mainstay product of Weh Island whose landscape and forest are beautiful," Adam noted. The Aceh government had designated Weh island and its surrounding areas as a national tourism strategic area, and this step demonstrates its commitment to promoting Sabang and Weh island tourism. The waters of Weh island are home to 133 coral reef species, according to a study on coral reefs which was jointly conducted by the Fishery and Marine Research Centre of Syiah Kuala University, ARC Centre of Excellence for Coral Reef Studies, James Cook University of Australia, Wildlife Conservation Society, and Flora and Fauna International. The results of this study show the uniqueness of coral reefs in Weh island and its vicinity. This is reflected in the species composition, which is a mix of Indo-Pacific and Indian Ocean coral reef species, as well as the ones which are commonly found in Indonesian waters. The diversity of coral reefs in Weh Island waters is similar to that of Halmahera island in North Maluku province. Halmahera waters are also home to 130 species and are famous as the most diverse coral reef region in the northern waters of Indonesia. Compared with other regions in Indonesia, the coral reefs in Weh Island waters are "unique despite having similarities with those in the Andaman Sea". If Weh Island is considered as a representative of the Andaman Sea, the coral reef in the area should be jointly protected by Indonesia, India, Malaysia, Thailand and Myanmar. Protection should be first provided in the Coral Triangle region, covering the waters of the Philippines in the north, Solomon Island in the east, and Indonesia (Bali province) in the west. The Coral Triangle is home to 605 coral reef species, which account for 76 percent of the total number of recorded coral reef species in the world. Accordingly, the Sabang Regional Management Board is also taking steps to make the region an international tourism destination in Aceh Province. "We will continue to promote Weh island in Sabang as a world tourist destination to attract increasingly more number of foreign tourists to the area," BPKS Chief Fauzi Husin affirmed in May last year. 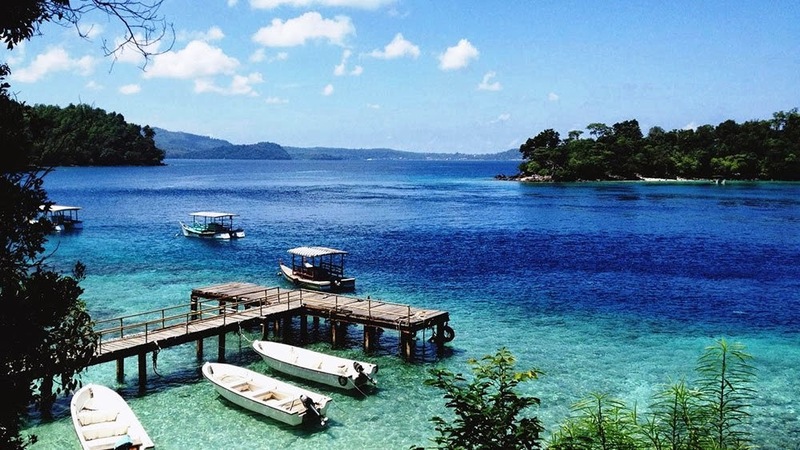 The number of foreign tourist arrivals to Sabang has grown steadily, and new tourist attractions must be developed there to make the area a world-class tourist destination. In addition, various arts, cultural, sports, and other events hosted by the city must be propagated to draw the interest of foreign tourists visiting Sabang. "We also continue to increase the frequency of cruise ship arrivals in Sabang, and in 2017, our target is to see some 30 cruise ships making a stopover in the district," according to Husin. With intensive promotion, Aceh province is ready to receive one million foreign tourists from different countries in the well-known Weh Island in Sabang District in 2017. The target of Aceh province this year is to receive one million foreign tourists in Sabang, especially in the beautiful Weh Island. The number of foreign tourists visiting Sabang from year to year had continued to increase, and this proved that the promotion of tourism had been quite successful. The surge in the number of tourists visiting Sabang is inseparable from the availability of direct flights between Medan and Sabang and more conducive conditions in the province.